If there's a woman who knows her cake, it's Helen Fletcher! Last week Helen announced on her St. Louis food blog The Ardent Cook that she is publishing her second cookbook, European Tarts – Divinely Doable Desserts with Little or No Baking. It will be available in late October, just in time - of course! - for holiday gift-giving. Helen was owner of Truffe's, a bakery that for 20 years provided upscale, wholesale European-style pastries and desserts to hotels, restaurants and caterers in St. Louis. (Truffe's is no longer open but for a feel for Helen's luxurious cakes, see Gooey Chocolate.) A couple of years ago, she became the pastry chef at Tony's. In 1986, she published her first cookbook, The new pastry cook: Modern methods for making your own classic and contemporary pastries. I think that Helen might be the first St. Louis food blogger to publish a cookbook, am I right?! 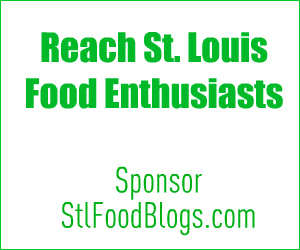 Are you a St. Louis food blogger and have blog-related news or a food-related event you'd like publicized on StlFoodBlogs.com? Would you like a profile of your blog published here? Please contact Alanna via e-mail. Oh wow!! 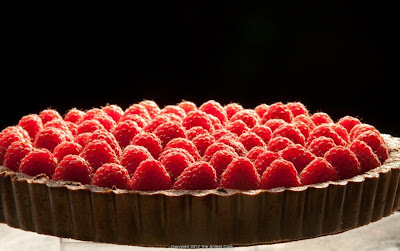 That chocolate and raspberry tart up there looks absolutely decadent! I'm an American who lives abroad in Germany...I don't think I've seen anything like that here, but I realize Europe is a big place...perhaps it's more something from Belgium or another area. Thanks for sharing!